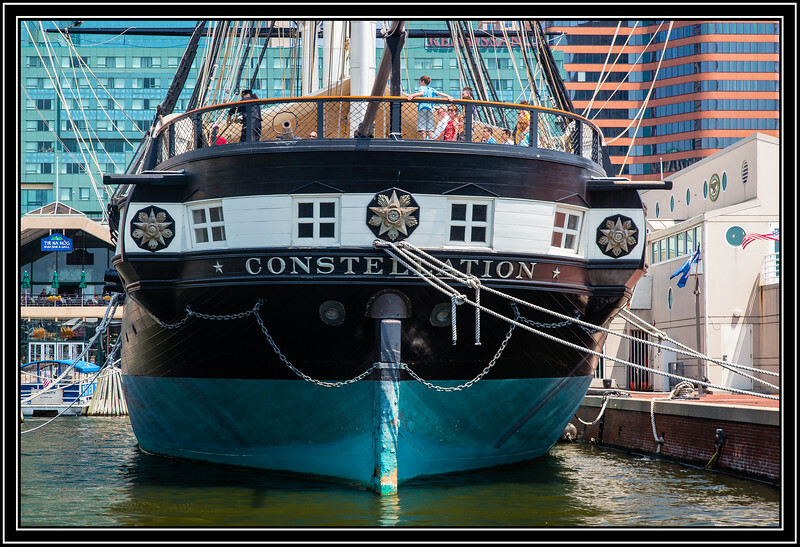 Superb capture of the USS Constellation. Beautiful photo from my City! Super shot. I'll have to remember this angle the next time I'm in Boston. Beautiful ship, excellent pov and composition ! Neat seeing the decorative insignias on the front of the bow. Nice closeup perspective on this old sloop.